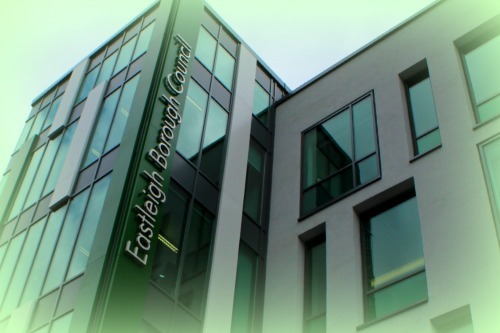 Eastleigh’s overdue local plan has received a fresh setback today after the Independent Planning Inspector suspended the process because he said the council are not proposing to build enough homes. The Local Plan is the council blueprint for the development of the borough from 2011 up to 2029 and sets the number and location of new homes based on anticipated need. Without a plan in place developers could submit planning applications anywhere in the borough where they are able to secure a site and with government planning policy in favour of a ‘presumption to build’ it would be hard for the council to oppose them. I have found that the council has not recognised the full extent of affordable housing need in the Borough and, as a consequence, has not considered all options to seek to better address that need. There are also market signals which indicate that some additional market housing is required. The Inpsector also described the council’s five year land supply as ‘inadequate’. This is just days after council leader Keith House commented on this website that the council now had an adequate five year land supply in response to the Eastleigh News report of the Judicial Review of the Boorley Green Planning application last week when Lord Justice Collins dismissed the case brought by Botley Parish Action Group partly because of the lack of adequate land supply and an “urgent need” for houses. It’s worrying that the Inspector requires us to plan for probably 1000 more homes over the life of the plan and to increase our housing supply by providing at least 800 of these homes over the next five years. It has been reported in the Observer this week that Cllr House is currently working on a government-commissioned report on the role local authorities can play in increasing the supply of housing. Lib Dem controlled EBC have just gifted the Borough to the greedy developers. Sure we need homes but in the right place and where residents want them and where they are sustainable. This is a disaster for Eastleigh. In addition it is so important communities get their Neighbourhood plans worked up so their wishes have to be accepted by EBC! Very interesting, seems the inspector took plenty of notice Nigel. Yes he did take plenty of notice. This is a Conservative Government Inspector we are talking about. Of course he`s going to favour the developers. It`s a case of profit at all costs and damn the neighbours. It wouldn`t be quite so bad is someone gave consideration to infrastructure first. Keith House has commented on it ,so why don’t you have a read and tell me what you think . “It would create untold traffic chaos, from Fair Oak and Bishopstoke, right over to Eastleigh, and down to Horton Heath, West End and Hedge End. Local roads just would not be able to cope. Funny link, read that sometime ago – somewhere… I’m not sure William Hill or any other bookmaker would be giving the same odds next May for the “two horse” propaganda race. Bishopatoke Road and Fair Oak road are already in traffic chaos and will be until the extra M27 junction is put in and the Chicken Hall Link or simlar come to fruition – this is simple fact, but that is simply what developers contributions are for. Traffic plans for Eastleigh borough need addressing, to go hand in hand with ANY developments. Sound common sense spoken here. A friend of mine is trying to put together a big drinking session at a local brewery and I really do not want to go. Would Keith House and his fellow FibDems take over the planning for him.!! Many of you fail to see the consequences of further development within the borough and indeed the surrounding areas. Many have mentioned the chaos that exists on our transport networks. I have previously read of concerns over the services such as water and sewage not being able to cope with what is in place now, let alone any proposed development. You may want to try having a chat with those within social services over the already overextended services that we rely so heavily upon, yet hear or read so little of except when someone dies. Mental health issues are huge in this area, yet ignored by most. With HCC due to make yet more cuts in services across the board, its evident that the pressures will increase and the vulnerable will be at risk even more. With the government considering getting into the realms of developing housing, you have to ask why it is that the construction industry cannot cope or are failing to deliver the current crop of agreed new builds. Maybe one thing to do with it is the fact that the bank of England wants to up the interest rate next year, most likely after the general election, that would of course depress the housing market and likely see construction companies cutback. One only has to look at the figures released by The Bank of England regarding to mortgage approvals for this year to see how volatile the market is. Couple that with the fact that new build house starts are also down overall this year and you can see how the govt is most likely panicking that its economic strategy for growth that has house construction firmly as an important part is beginning to flounder. Yet, as in ancient times, when Rome was burning, Nero was reportedly fiddling away. And so our illustrious govt sends its inspectors around the nation telling councils that they not allowing enough building to happen. And so, everyday life will go on getting worse as more and more new houses are shoe horned into our borough. ……and Allington Lane begins to receive unwanted attention. And the solution from UKIP IS……….Blankety Blank!! Let’s hope they don’t end up with Blankety Blank cheque book & pen! If the local plan had been delivered on time, and not 4 years overdue would there have been the requirement back in 2011 to include for these extra houses in the plan? If not surely the cause of this issue falls to our council for failing to deliver a plan on time. EBC need to go into special measures. Its about time the DC& LG Intervened. Reading the draft that the inspector has released it seems by suspending the plan now rather than continue and review it in several years time is a better option so I guess that if the plan was already on course then that review period would be coming forward in couple of years ,what ever happens the need for new housing be that affordable or private will need to be built no doubt allington lane ,stoneham, botley ,hamble,chandlers ford will all be in the sights of developers. fantasy jargon, the methodology is flawed. they don’t count babyboomers downsizing or dying, they don’t count the existing dwellings of the 2500 needs list, they don’t care how affordable the houses actually are , because First Wessex arrears figures are unavailable. they sell school playing fields because the demographics say we don’t need them and at the same time build houses because the demographics say we must. they can’t even tell me how much the plan has cost, about 3million I reckon…. 30000 residents, how nice would £300 quid be right before christmas? Any Councillor can put forward a vote of no confidence , as soon as alliances are reformed , all the skeletons come out of the closet. and let the people in to the discussion. With a Con-Lib coalition in Westminster intent on tearing up our greenfields for migrants this will only play into UKIPs hands. As the council expects less than half of these homes to be occupied by existing residents of Eastleigh it does not bode well for the current established parties. Apparently air quality and congestion means nothing to the fools in Westminster with quality of life being something you pay for by moving to the Test or Meon valley. Eastleigh Borough Council should fund the building of social housing themselves instead of bribing developers with greenfield land in order to get a handful of social homes or was that a hotel? I know that will increase council tax but it is probably preferable and more cost effective than paying the tax in your fuel as you sit in traffic. Perhaps Eastleigh Borough Council should give the people a referendum on the need to destroy our green spaces? I know it would be non-binding but it would give House and Thornton some ammunition to hit Westminster with. Ultimately they won’t because I suspect they have little regard for the environment and prefer their green areas to be the patches of lawn outside the front newbuild flats in Hedge End. It appears we have go what we voted for. The people of Eastleigh voted for House and his fellow Lib Dems and Houses is what we got! just making a comment so that it gets to the top of the pile so people read my comment above…… it’s crack-a-lacking ! There was NO referendum on the MDA!!! Andy Moore and Davis Dear should remember. fields into the sewer treatment works. (No Problem) But what a waste. My comment is not a story. Most people I speak to have given up following this because they are so angry and are powerless to stop this over development of an already over populated area. Most of us are going to vote with our feet and move taking our money with us leaving Eastleigh to its chavs and charity shops. Sally , you are only as powerless as you perceive yourself to be, but I l know how you feel , if my wife had not left me then I would be gone or planning to go before GF Dev ruins eastleigh. Unfortunately for EBC/Libdem hegemony I’m staying, so my kids get stability , but I am struggling with all my power to clean this council up. stay and help me please , the only benefit is perhaps that the wicked must be punished and it feels good when you do it. But what can actually be done? Standing up and shouting/being disruptive with the inspector clearly didn’t work? Do we now have to go through a plan v3 now? Perhaps this is the opportunity now? I agree with the sentiment Rigel, I really do. The problem is that the only way to change things is if we all stand together and say, ‘enough is enough’. Sadly, reading the comments here, we are divided and conquered. This is just how the ruling FibDems locally want us to be. We must all stand with each other. Yes we all have different views on the way things should be done or how things need to change, but we are all of the same voice, and that is things MUST change. That change will only come when the FibDems lose the powers they have for so long abused. We must now vote tactically to remove them and as unpopular as this may seem, the only way to do this is to vote UKIP.. I am not a UKIP supporter, I respect those that are, it is a democracy after all, but the LibDems are right, “Labour and the Tories can’t win here.” However, UKIP can if we vote together with a common purpose. To rid our town of the evil that is LibDem. FOREVER.!! From one luny land to another . No Way. UKIP are just twisted ex LD”s locally. Well get used to things staying the same and getting worse. You have mad my case for me. OK lets say that local people begrudgingly vote for the kippers just to get rid of lib dems……. after they win what will their UKIP press release say ??? It will say the people of Eastleigh have clearly made a stand against immigration bla bla bla. Hitler was voted in by people who thought he was nuts but had confidence he would get rid of the last lot. I agree with the objective but you are playing with fire – call me or email and I will discuss other methods. Members of UKIP past and present are committed to reforming the Party by exposing the corruption and dishonesty that lies at its heart-in hope of making it fit for purpose. Only by removing Nigel Farage and his sycophants on the NEC can you save UKIP from electoral oblivion. Giving communities more power in planning development. modified buildings and facilities decisions in their area. that affect them— but in practice they have often found it difficult. They say!!!!! We made a commitment in the coalition agreement to give people more power over development in their area. reduced interference from central government. These new powers are in addition to existing opportunities for community involvement, which are already part of the planning system.